Thought this was fun, not super sure what to do....but I had fun doing it. Thanks for all your feedback. I'm really glad my art style is appreciated, as well as the rest of the game. :) Thanks for playing! I will note to continue making games in a similar style. I agree with CS Dev, I'd love to see this art get into a finished project, or even another small one! 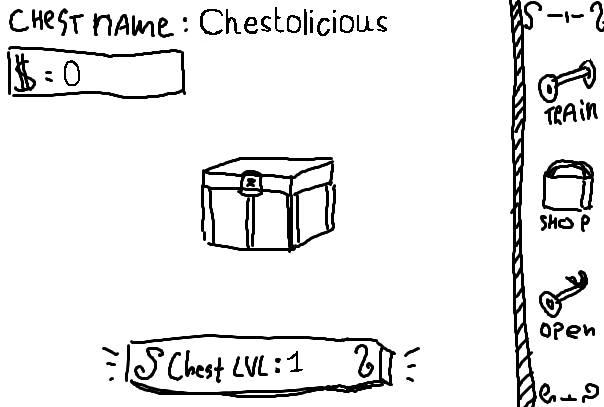 One thing I'd like to comment about is the chest naming system was a great addition even though it doesn't seem to have any significance, but something about this game makes it really fun, whether it be the music and sounds or just the art style, you submitted a great game, good going! I really liked the art for your entry! 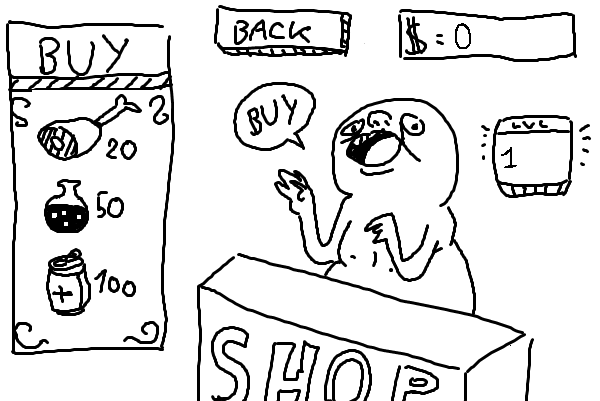 It had a very quirky and funny art style, especially with the man in the shop. I'd suggest making your next full game with that kind of styling, I think it'd catch quite a lot of eyes!